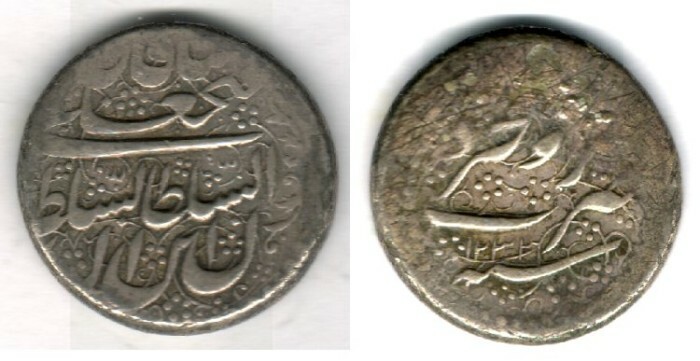 In Farsi reads: �Fath'Ali Shah Qajar, al-Sultan ibn Sultan"
Mint�name and date in a nice circle. good VF nicely black toned. Type D is minted as type C but on a reduced weight. The type was used from 1232 to 1240AH in almost all ofthe cities under the reign of this king. See my other examples of thisruler�s mints and dates.